Marvel’s Moon Girl And Devil Dinosaur has been one of the quiet delights of the company’s comic book output for a few years now, an all-ages book all about the importance of confidence, trust, and having a giant dinosaur on hand to help you fight off a crush-stricken alien nerd boy or a rampaging Doctor Doom. 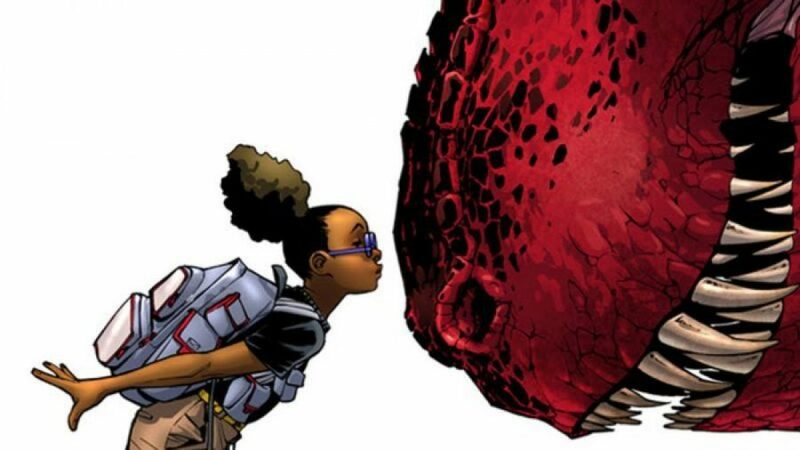 Drawn by Natacha Bustos, and written at various points by Amy Reeder and Brandon Montclare, the series—centered on the adventures of pre-teen super genius Lunella Lafayette and her bumbling dino companion—is now getting the TV adaptation treatment, courtesy of Laurence Fishburne and Marvel animation. Yesss! If you haven’t been following this all-ages book, you’ve been missing out.